Why Chris Wood Is Leaving 'Supergirl' — And Will Mon-El Ever Return? 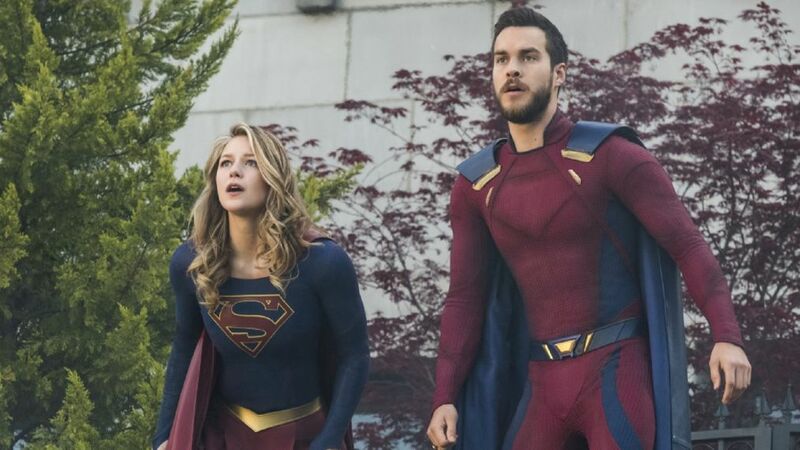 It's never easy saying goodbye, and fans of Supergirl are certainly mourning the exit of Chris Wood's Mon-El after the show's Season 3 finale. As fans who caught the final episode know, Mon-El (Wood) was sent forward in time, which subsequently removes him from the show's current timeline. Of course, just because he's gone for now, doesn't mean he'll never turn up again. "We love working with Chris, so we’d love to have Mon-El back someday if the story takes us there and if Chris is available," executive producer Robert Rovner told TV Line. "The plan for Chris was always to have him on the show for two years,” Rovner explained. "We’ve loved telling Mon-El’s story, as well as the story we’ve told for him and Kara. We hope the fans felt that it was a satisfying conclusion." Wood entered the show during its second season in 2016 as the memorable character. Since then, the actor has appeared in over 40 episodes as Mon-El. Of Wood's departure, fellow executive producer Jessica Queller said there's no regret over the characters' decisions. "They both have destinies in different times as heroes. What they did was the sort-of Casablanca decision of putting what’s most important to them — which is saving the world — first. It’s a little bittersweet that one destiny is to be a hero in this time and one’s destiny is to run the Legion in another time," she explained to the site, "but I think they grew a lot from knowing one another. They have respect for one another, and they have a respect for the decisions they respectively made." For fans, this info is likely to reassure them that the right course of action was taken. Plus, there's still hope that Mon-El may return in future seasons — even briefly!